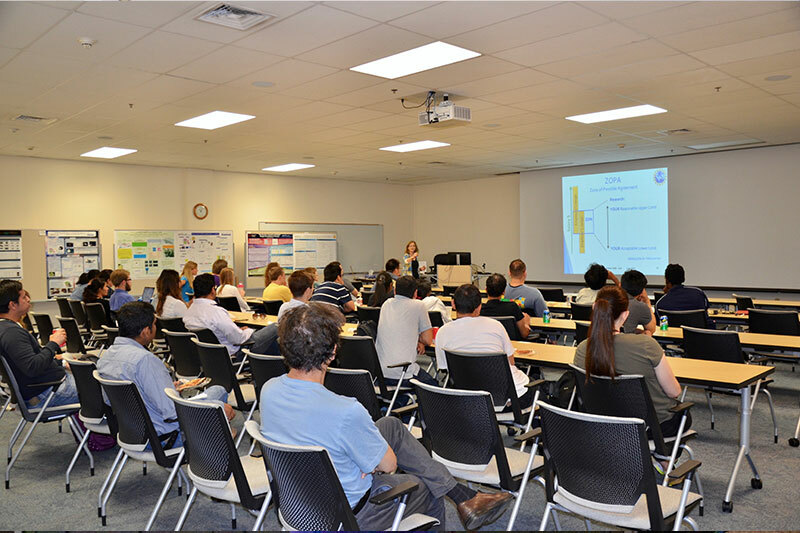 The 2017 Jefferson Lab Users Group Workshop and Annual Meeting was held June 19-21. 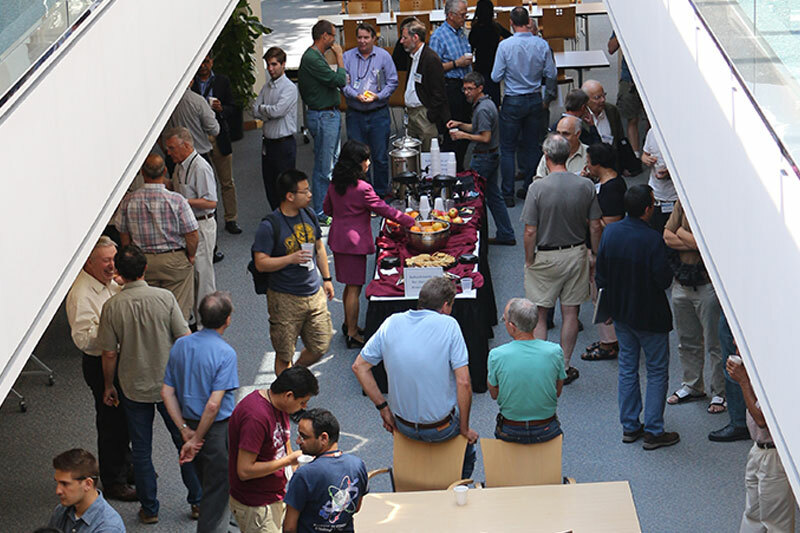 From searches for dark photons to the largest refrigerators on the planet, attendees heard from their colleagues about a veritable smorgasbord of topics at the 2017 Jefferson Lab Users Group Workshop and Annual Meeting, held June 19-21. 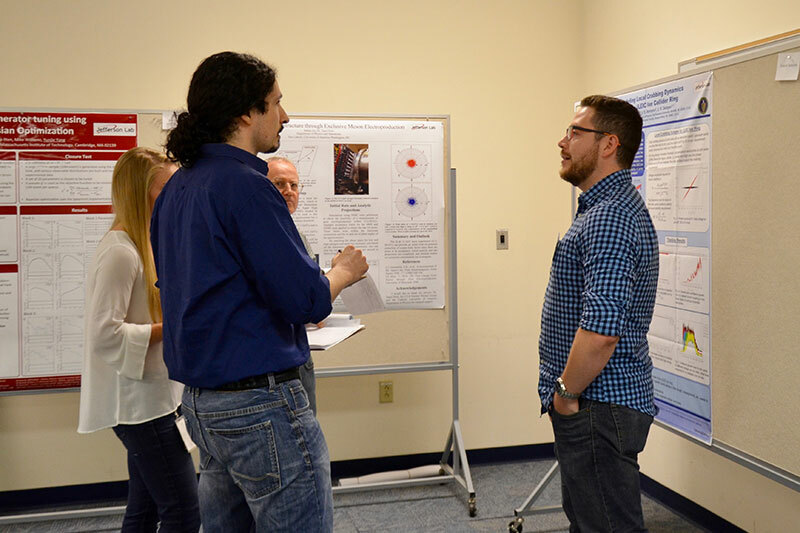 The conference theme of “Exploring the Breadth of Jefferson Lab Research” drew in 150 registered participants. 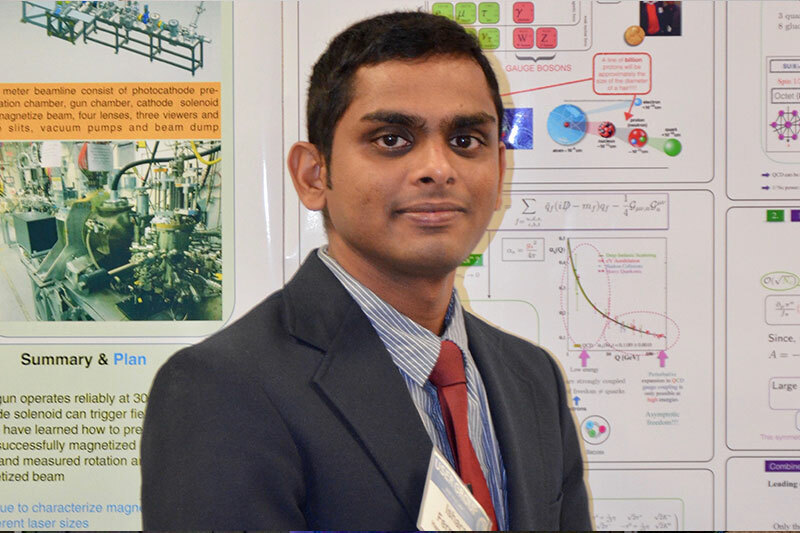 The three-day, jam-packed program included a variety of physics talks and awards ceremonies, as well as presentations from the Users Group Board of Directors, laboratory management and representatives from the Department of Energy and the National Science Foundation. It included six different half-day sessions that were organized by Users Group Board of Directors Past-Chair Larry Weinstein, Chair Krishna Kumar, Chair-Elect Julie Roche, Volker Crede, Mark Dalton and Nadia Fomin. As is customary, Weinstein passed the Users Group Chair gavel to Kumar during the Users Group business meeting. The conference also included many opportunities for graduate students, whose attendance fees were waived. 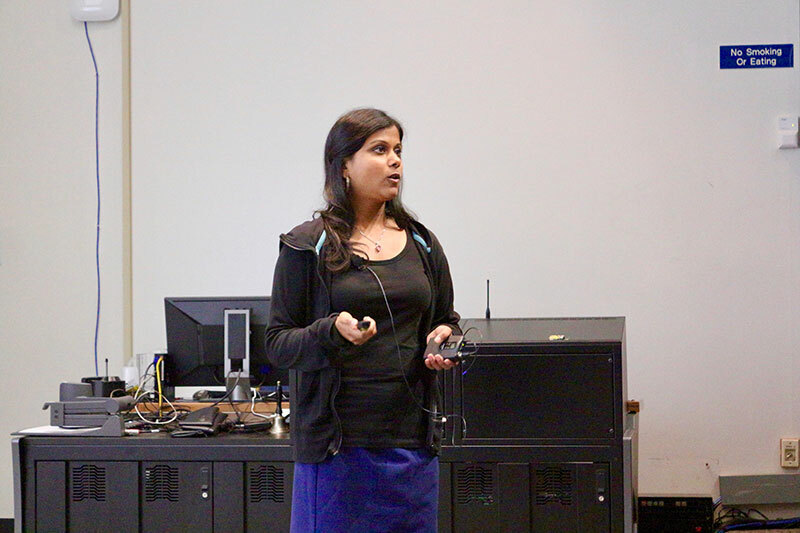 Three lunch seminars offered career advice on topics ranging from how to negotiate to career options for nuclear scientists and capitalizing on the intellectual property students may develop. Students were also encouraged to show off their work in a poster competition. 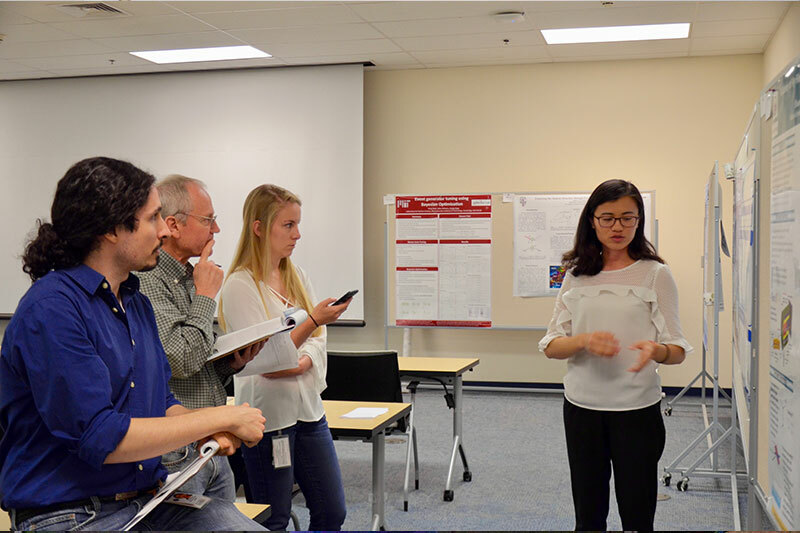 Three students took home prizes: Ishara Fernando (1st) from Hampton University, Shuang Han (2nd) from Wuhan University, and Salvador Sosa (3rd) from Old Dominion University. In addition to modest cash prizes, each winner also received travel support for presenting their work at a scientific meeting. Richard Trotta, Yan Wang and Yunjie Yang received honorable mentions. Other awards were also presented. 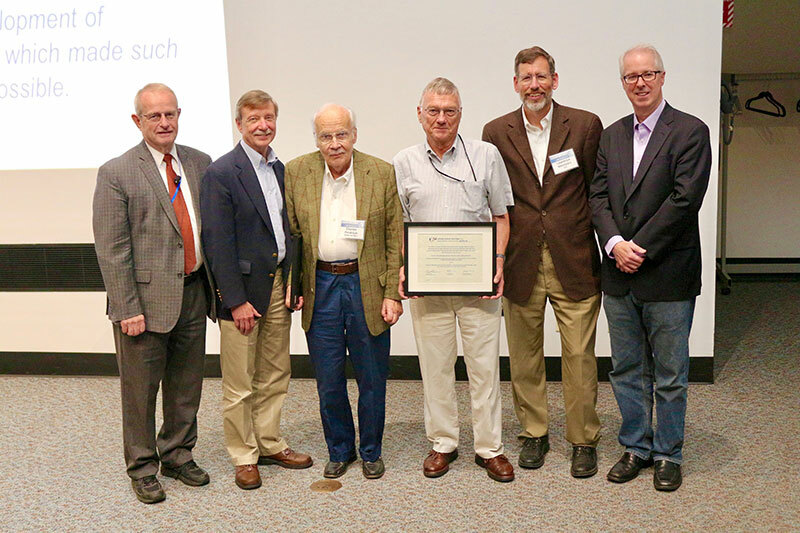 This year, the 2017 Outstanding Nuclear Physicist Prize was awarded to two long-time contributors to the field: Charles Sinclair and Charles Perdrisat for devising electron source technologies that enable high-precision studies of the proton and for leading the charge in that groundbreaking research. The 2017 JSA Postdoctoral Prize was presented to Nobuo Sato, and the JSA Thesis Prize was awarded to Priyashree Roy. A special feature of this year’s conference was the introduction of the new Jefferson Lab Director, Stuart Henderson, to the community. Weinstein took a moment to welcome Henderson to the lab and the conference, and the director presented an updated overview of the lab, as well as a talk on recent advances in accelerator R&D. The Users Group Workshop provides Jefferson Lab’s energetic User community with the opportunity to collaborate on research, interact with colleagues and students in the field of nuclear physics, take up concerns with laboratory leadership and the Users Group Board of Directors and learn about research related to nuclear science. If you were unable to attend the conference, you can find the complete 2017 program, presentations and video feed on the website. The Users Group Workshop and Annual Meeting and the prizes awarded during the meeting are supported by the JSA Initiatives Fund Program, a commitment from the JSA owners, SURA and PAE. Initiatives Funds support programs, initiatives, and activities that further the scientific outreach, promote the science, education and technology of the Jefferson Lab and benefit the lab's extended user community in ways that complement its basic and applied research missions.